The CH-7 "Angel" has been designed by Elisport of Turin and is sold as a kit to amateur builders. It is a single-seat machine with a fully enclosed cabin in a tiny streamlined pod, with a Rotax 582 engine mounted in the centre section, and a strut-braced tubular tail-boom carrying a small fin and two-bladed tail rotor. The Angel has a two-bladed semi-rigid composite main rotor. Sir, I am very much interested to invent my own helicopter. I want to know how to invent mosquito kit helicopter by own at my home.. Sir kindly reply and take a necessary action.. So we will be pleased to receive your reply by quoting for us prices of the above C&F Mombasa. Since our client basically interested in purchasing a huge volumes of those items. Therefore we are interested in starting business relationship with your company payments exchange them with Gold. P.O.BOX 31741 KAMPALA UGANDA . from Kampala Uganda and we are Agent/Representative-Broker. to buy the following helicopters. Here is the list below. the next step because our clients need the helicopters urgently. Hi, I am interested in purchasing it. I am from India. Pl. send me price FOB Mumbai Port. What is the price (including shipment) for the CH-7 "Angel"? Have you been looking for a loan? Or do you need a loan to pay your bills, or if you need a loan for business or personal needs? If so, then here is a solution to all their problems. Apply for a loan at 5% in my company, for a period of 2-25 years maximum. For information to launch a credit to my company, please contact the director of the company in line with this email address: info.osenobla360@gmail.com and we will send you all the information you need to apply the loan thanks and come back soon. Why are you looking for very expansive one seater ch-7? Buy Mosquito XE from USA for reasonable price. what about price for Poland? I could find many buyers if the price will be acceptable. But saddly to my knowlage its not produced anymore, wish it was,lota fun. What is the price,and who do you contact to purchase this kit. 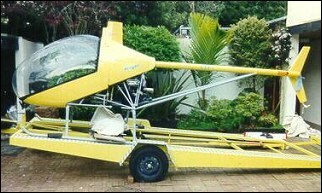 HI I AM FROM SOUTH AFRICA AND WOULD LOVE TO GET MY HANDS ON A KIT FOR THIS HELICOPTER.CAN U HELP OR ADVISE ME PLEASE. THANK YOU. I like to by your helicopter . Please mor information and photo. Rotax 914 Turbo 4 stroke powerplant 115 H.p. In-ground effect hover 3500 m.
Out-of-ground effect hover 2500 m.
Max fuel range 480 Km/3 h.
Expensive,Great to fly,But saddly to my knowlage its not produced anymore, wish it was,lota fun. I�m selling my CH-7 Angel Helicopter. Powerplant is a 64hp Rotax 582 Engine. Australian registration, flown 150 hours since new. Price is (AUD)$70,000. Contact me by email if interested. The helicopter was actually designed by Augusto Cicare, hence CH-7 for Cicare Helicopter. Elisport then acquired the rights to the design and commissioned Marcello Gandini ( of Lamborghini design fame ) to create the cabin. When I finalise my drawings ! who would be interested in buying the plans for 2750.00 U$ ? If there is enough of you who would like them I'll have them ready by the end of the year. Does the CH-7 carry China, Sichuan to want all little money? No more inquiries please, my heli has been sold on January 27th. I have been contacted by 16 people while on the other hand "hendri / clayton" (see below) have never answered my email in the first place. I�m selling my helicopter, an CH-7 ANGEL 912 with all KOMPRESS options as swashplate, electric trims, governor, additional tank/bag compartment etc� powerplant is rotax 912 100hp version. French registration, flown 170hours sincenew. Is this helicopter for sale anywhere and what is the price ??? Tom I'll help you out a little bit here. First off it ONLY comes as a 70% assembled kit and is not allowed for import into the US with new amatuer built rules now taking affect. 70% is prebuilt and 49% can only be sold in the US as of Feb of 2008. Your very best bet a present is to get a used Exec90 or better that is certified, and aulter it with a turbine kit. The cost will be 1/4 the price of this helicopter. It's currently the most exspensive one on the market with a single seat. The price of a Lambo to be exact. I have had no contact to my earlier query (see above). Has anyone built this angel from a kit and how much? This model in now replaced with a turbine version and the cost of any of these angel based helis was 107,000.00U$. These kits are imported from Torino Italy(same town Lambo's come from)where they cost tons there too(78,000.00 Euros). Lacair used to sell them in US, but no more, as they were to much money and sold very poorly. Now they are only able to be imported from Italy at even greater prices. http://www.ch-7helicopter.com current costs are over $122,000.00U$ plus shipping($5,600.00US) plus taxes($22,450.00U$) plus you have to build it and get avionics brining the price around $200,000.00U$. Not cheap and rather a rip off, when you can get a real proper used chopper or a hell of a nice plane, Lambo, Ferrari for the same money. Don't know what the fuss is about... Its apporximately 100,000 euro... PLUS 1.5 years waiting list AFTER deposit of 7,500 euros. THEN - when its been built - has to go back to Turin facoty for pilot Testing and Balancing before "hand over"... Approx 230 have been built so far and no accidents. I have flown in this craft in France and it is AMAZING!! Is there a plans available , how much? Obviously if u dont have the price displayed its too much!! with all the people asking for a price, why don't you just but the proces on your web site? how much is kit or plans???? Is there a kit available or plans, how much? Can I build this aircraft from the kit? If so what would be the cost of the kit? I'm happy to buy the kit from you! How do we get started!? Werry nice helicopters. What is the price? It's a real Angel.